OK, so the county is due almost $476,000 in delinquent hotel motel taxes. The city is due about $200,000. The city finance department - in charge of collecting the city's portion - actually padlocked a scofflaw or two's door in its time. The city also regularly sends out delinquent notices and contacts the owners. They tend to pay up, too. Seven local hotel and motel owners owe the city of Knoxville a combined $200,000 in delinquent occupancy taxes that date back 2 1/2 years. Several of those hotels, however, are no more than a month behind on payment, so the majority of the outstanding debt is due from only a handful of the businesses. 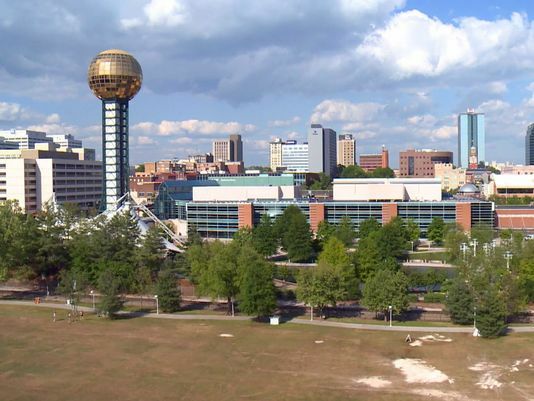 The tax – a 3 percent fee charged to lodging guests – is used to pay off debt tied to the Knoxville Convention Center. The tax will expire in June 2032 when the debt is cleared. The city this year budgeted $3.1 million in expected revenues from the tax. Last year, the city budgeted $2.75 million, but ended up bringing in a little more than $3 million. WBIR 10News met Thursday with city officials to talk about the tax and what they’re doing to collect it. The meeting with WBIR comes in the wake of a 10News investigation that looked into the more than $475,000 owed to the county by local hotels and motels dating back two years, and the county’s failure to go after the money. County Clerk Foster Arnett Jr., whose office is tasked with collecting the county’s 5 percent occupancy tax, told 10News that his “hands are tied” and he can’t do anything about it. But, that’s not true. State law says his office can seize property “by any means,” lock the doors and sell it. He just hasn’t ever taken those steps. The city, however, has employed some of these methods. “Whenever someone is late, we send out delinquent notices, and hopefully that’s successful and generally it is because we don’t have that many people who are delinquent,” said Knoxville Finance Director Jim York. But, if officials reach a stalemate with a business, then they can move to shut it down. York said his office “once or twice” in his 27 years with the city has padlocked a door. When it happens, though, it works. “That typically gets people to pay,” he said. The Knoxville Finance Department issues letters to the 90-plus hotels and motels inside the city limits each month, and most pay right away. They reach delinquency status after 30 days. York said officials estimate that the city is owed an estimated $200,000 from seven hotels, but they expect payment from a couple of them soon. The others make up the bulk of that tab. York said they’ve sent letters to them, but they’re not necessarily to the point yet where they want to shut them down. He said officials are looking for “in between” solutions, but declined to provide more details, since they might not pan out.